Henckelia are found throughout northeastern and southern India, Sri Lanka, the Himalayas and southeastern Asia. Many species were formerly placed in Didymocarpus sect. Orthoboea or the genus Chirita. In 2013, more species formerly placed in Henckelia were moved to Codonoboea and Loxocarpus. 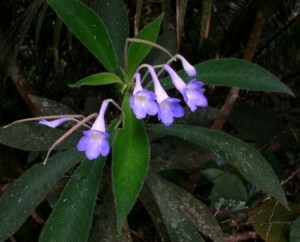 Henckelia are typically found growing in cool shady areas of low altitude forests, often on slopes or moist rocks near streams and waterfalls.